The Philippine Embassy in Saudi Arabia is urging all overseas Filipinos based in Saudi Arabia to register at the Embassy website to have a detailed info of OFWs in cases of emergencies, outbreak and other important notices. 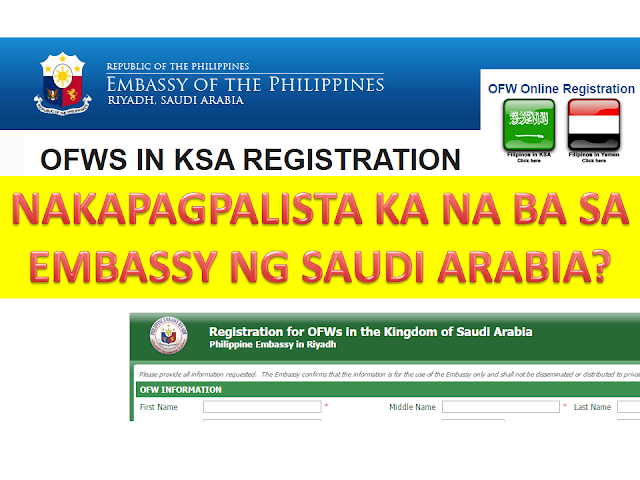 "The Philippine Embassy in Riyadh urges all Filipinos in Saudi Arabia (and Yemen) to register with the Embassy through the Embassy website (www.philembassy-riyadh.org). For those in Saudi Arabia, they should click on the flag of Saudi Arabia to enter to the Saudi Arabia specific module. The Embassy’s campaign is part of its efforts to implement Section 20 of Republic Act 8042 and Section 13 of Republic Act 10022. The information is important for submission to Congress and during emergency situations, and will allow the Embassy to contact Filipinos regarding updates on services and advisories on matters important to Filipinos in Saudi Arabia. The Embassy assures the public that the information submitted is saved on the Embassy’s server, and will not be shared with non-government agencies." 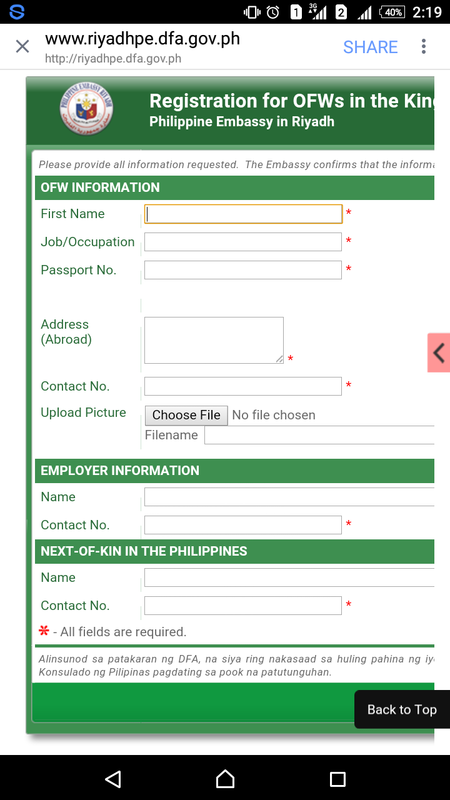 I tried to register and we invite all OFWs especially the Kasambahay and HSW's and those working in the establishments to fill the form for our safety and protection as well. You are now included in the list of registered Filipinos in the Kingdom of Saudi Arabia. Expect to receive an email confirming your registration with links to edit and delete your registration. You will also receive an email like this. We also encourage you to register your dependents living in the Kingdom of Saudi Arabia. This confirms your registration in the database of the Philippine Embassy in Riyadh. 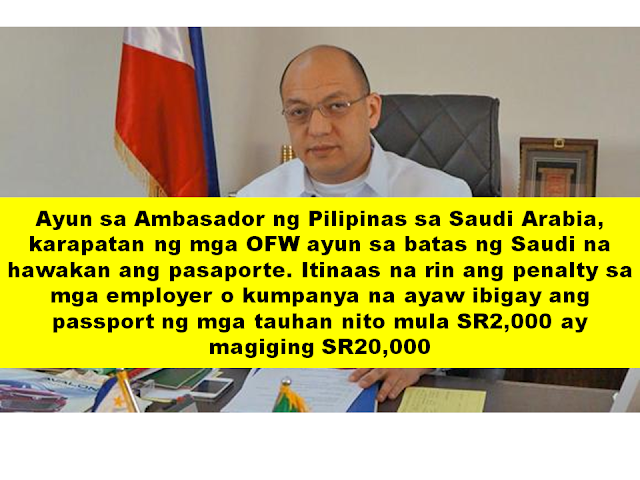 Ambassador Tago reiterated that OFWs in Saudi Arabia are encouraged to have their names listed at the Embassy Database, not about wars or rumors of wars but for personal database of the Embassy and Consulate.